Natural Ingredients to Cure Food Poisoning, Besides of coconut water!!! Food poisoning can happen to anyone. Eating foods that are not hygienic or allergies to a particular food substances capable of causing food poisoning. When infected, then usually you will suffer symptoms of nausea, headache, diarrhea, and abdominal cramps. Ignoring these symptoms can make the disease worse. 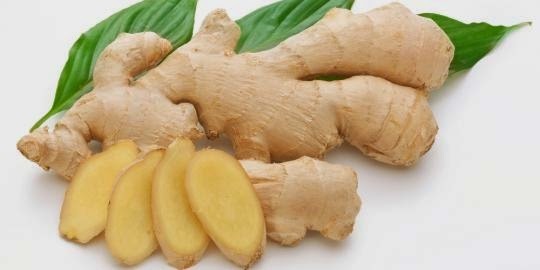 Ginger is an excellent natural herbal remedy to cure all types of digestive disorders including food poisoning. Drinking ginger tea while poisoning is the right first step for treating food poisoning. Acidic nature of lemon can help to kill the bacteria that cause food poisoning. Eating a tablespoon of lemon juice mixed with a little sugar for a few times to relieve the symptoms of poisoning. Apple cider vinegar contains alkali in it. This natural substance not only can kill the bacteria that cause poisoning, but also to strengthen the gastrointestinal lining in the stomach. This leaves serve as effective herbs to cure digestive disorders such as food poisoning. Drinking water that previously leaf decoction is mixed with honey. This herbal medicine is able to kill bacteria that cause food poisoning gradually. Besides with drinking coconut water, food poisoning is able to be cured with natural ingredient above. Good luck!